DID CONGRESS & TRUMP PROVIDE THE ULTIMATE TAX REMEDY? HIDDEN IN THE RULES? – by expanding the judicial authority beyond that which is constitutionally authorized, to enable the federal judiciary to constitutionally usurp the legislative authority of the Congress, through the judicial enforcement of only the perverted judicial Fabian opinions they issue, in place of the actual written constitutional tax law that is authorized and exists. What ? You may say – that’s crazy. What the hell are you talking about ? It’s the same tax it’s always been ! There’s nothing new in the law that could do that ! Yea, – that’s right, it’s the same income tax law that it has always been, and now they have admitted it on the Congressional Record, and their world is about to change, – well, actually, implode. – but any honest lawyer will tell you (after reading this) that everything you are about to read (and have read up to this point in this article) is irrefutably true. FACT: For the last 60 years the IRS has been issuing income tax collection correspondence to Americans asserting that American citizens owe the payment of an income tax on their work, because of the adoption of the 16th Amendment. This claim to legal authority is all over their website; it is in their “frivolous Arguments” propaganda publications, where they repeatedly assert the income taxing authority under the 16th Amendment, and label as frivolous any reference made to the limitations on the taxing powers imposed under Article I of the Constitution; and, it is in the pleadings made on the record of the court by the United States as a plaintiff, in every tax case prosecuted in the federal courts in the last 30 years. FACT: The Department of Justice attorneys argue in every single income tax case prosecuted in the federal courts, that the income tax is owed by the individual defendant as a function of the 16th Amendment alone, without use or need of any “applicability” of the authorized indirect Article I, Section 8, impost, duty and excise taxing powers. FACT: The 16th Amendment has no enabling enforcement clause in it, that would constitutionally authorizes the U.S. Congress to write any law to enforce any power alleged newly created or authorized under authority of the Amendment alone. FACT: There are Amendments to the Constitution, both before and after the 16th Amendment, that do have and clearly contain an enabling enforcement clause within them, irrefutably proving the absence within the Amendment, of such alleged grant of any new enforceable power, is intentional. ” ‘We think that they were used comprehensively, to cover customs and excise duties imposed on importation, consumption, manufacture, and sale of certain commodities, privileges, particular business transactions, vocations, occupations, and the like.’ Duties and imposts are terms commonly applied to levies made by governments on the importation or exportation of commodities. Excises are ‘taxes laid upon the manufacture, sale, or consumption of commodities within the country, upon licenses to pursue certain occupations, and upon corporate privileges.‘ Cooley, Const. Lim. 7th ed. 680. The tax under consideration, as we have construed the statute, may be described as an excise upon the particular privilege of doing business in a corporate capacity, i. e., with the advantages which arise from corporate or quasi corporate organization; or, when applied to insurance companies, for doing the business of such companies. As was said in the Thomas Case, 192 U. S. supra, the requirement to pay such taxes involves the exercise of privileges, and the element of absolute and unavoidable demand is lacking. If business is not done in the manner described in the statute, no tax is payable. “The [income] tax being an excise, its imposition must conform to the canon of uniformity. There has been no departure from this requirement. According to the settled doctrine the uniformity exacted is geographical, not intrinsic. Knowlton v. Moore, supra, p. 178 U. S. 83; Flint v. Stone Tracy Co., supra, p. 220 U. S. 158; Billings v. United States, 232 U. S. 261, 232 U. S. 282; Stellwagen v. Clum, 245 U. S. 605, 245 U. S. 613; LaBelle Iron Works v. United States, 256 U. S. 377, 256 U. S. 392; Poe v. Seaborn, 282 U. S. 101, 282 U. S. 117; Wright v. Vinton Branch Mountain Trust Bank, 300 U. S. 440.” Steward Mach. Co. v. Collector, 301 U.S. 548 (1937), at 583 “Whether the tax is to be classified as an “excise” is in truth not of critical importance. If not that, it is an “impost” (Pollock v. Farmers’ Loan & Trust Co., 158 U. S. 601, 158 U. S. 622, 158 U. S. 625; Pacific Insurance Co. v. Soble, 7 Wall. 433, 74 U. S. 445), or a “duty” (Veazie Bank v. Fenno, 8 Wall. 533, 75 U. S. 546, 75 U. S. 547; Pollock v. Farmers’ Loan & Trust Co., 157 U. S. 429, 157 U. 1 Again, Flint v. Stone Tracy Co. is controlling and Constitutional law, having been cited and followed over 600 times by virtually every court as the authoritative definition of the scope of excise taxing power. So, the granted taxing powers are conclusively defined within the U.S. Constitution: “Mr. Chief Justice Chase in The License Tax Cases, 5 Wall. 462, 72 U. S. 471, when he said: “It is true that the power of Congress to tax is a very extensive power. It is given in the Constitution, with only one exception and only two qualifications. Congress cannot tax exports, and it must impose direct taxes by the rule of apportionment, and indirect taxes by the rule of uniformity. “The act now under consideration does not impose direct taxation upon property solely because of its ownership, but the tax is within the class which Congress is authorized to lay and collect under article 1, [section] 8, clause 1 of the Constitution, and described generally as taxes, duties, imposts, and excises, upon which the limitation is that they shall be uniform throughout the United States. Within the category of indirect taxation, as we shall have further occasion to show, is embraced a tax upon business done in a corporate capacity, which is the subject-matter of the [income] tax imposed in the act under consideration. The Pollock Case construed the tax there levied as direct, because it was imposed upon property simply because of its ownership. In the present case the tax is not payable unless there be a carrying on or doing of business in the designated capacity, and this is made the occasion for the tax, measured by the standard prescribed. The difference between the acts is not merely nominal, but rests upon substantial differences between the mere ownership of property and the actual doing of business in a certain way.” Flint v. Stone Tracy Co. , 220 US 107, 150 (1911) Which is repeatedly supported: “As has been repeatedly remarked, the corporation tax act of 1909 was not intended to be and is not, in any proper sense, an income tax law. This court had decided in the Pollock Case that the income tax law of 1894 amounted in effect to a direct tax upon property, and was invalid because not apportioned according to populations, as prescribed by the Constitution. The act of 1909 avoided this difficulty by imposing not an income tax, but an excise tax upon the conduct of business in a corporate capacity, measuring, however, the amount of tax by the income of the corporation, with certain qualifications prescribed by the act itself. Flint v. Stone Tracy Co. 220 U.S. 107 , 55 L. ed. 389, 31 Sup. Ct. Rep. 342, Ann. Cas. 1912 B, 1312; McCoach v. Minehill & S. H. R. Co. 228 U.S. 295 , 57 L. ed. 842, 33 Sup. Ct. Rep. 419; United States v. Whitridge (decided at this term, 231 U.S. 144 , 58 L. ed. –, 34 Sup. Ct. Rep. 24.” Stratton’s, supra at 414 So imposts and duties are taxes on imported and exported goods, i.e. : commodities and articles of commerce that are imported into, and or exported from, the United States of America. 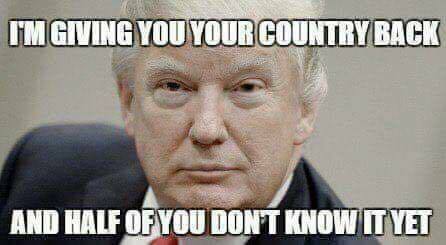 Imposts are also taxes on foreign “persons” and their activities in the United States (foreign individuals & companies, & organized operations like a foreign trust, charity, etc.). 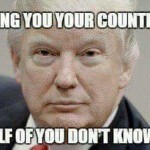 Imposts and duties are also taxes, where imposed, on persons in the U.S. territories and possessions, and on America citizens who are living and working in a foreign country under a tax treaty with the United States that allows the federal taxation of the American persons in that foreign country, under the active tax treaty. So taxation, by impost and duty, by definition, fundamentally does not reach the labors of the American people conducted in the fifty states, where the labor does not involve any import or export, or other foreign activity. And Excise taxes are now accepted as being constitutionally defined by both law and precedent (over 600 times) as: “taxes laid upon the manufacture, sale or consumption of commodities within the country, upon licenses to pursue certain occupations, and upon corporate privileges … “. But Title 15 U.S.C. Section 17, plainly and clearly states that: “The labor of a human being is not a commodity or article of commerce… “. Under the U.S. Constitution this law removes “the (domestic) labor of a human being (American citizens)” from subjectivity to any and all taxation by excise under Article I, Section 8. This is of course why the United States’ IRS, DOJ, and the entire federal judiciary (at this point) PREVIOUSLY have had to claim in court for 50 years that – it is the 16th Amendment that authorizes the income tax, and not Article I, Section 8. Thus, under Article I of the Constitution, there is an admitted total lack of subjectivity of the citizens to any and all impost, duty or excise taxation on Labor, i.e. : the indirect taxation of the citizen’s labor, or a tax upon the exercise of his or her Right to Work resulting in the payment of “salary” or “wages“, does not apply to citizens, because it is not statutorily authorized, now made enforceable, as it is fundamentally outside of the legal reach, and scope of legal effect, of all of the granted Constitutional authorities to tax indirectly under authority of Article I, Section 8, clause 1 of the U.S. Constitution. The reason why this is so important to understand, is because this basic information, concerning the proper, limited, application and enforcement of the constitutional, and constitutionally granted, powers to tax, is essential in properly and fully understanding the legal issue of the limited subject-matter jurisdiction of the federal courts that exists with respect to the taxation of the individual citizens. A proper and complete understanding of this legal issue, immediately leads to the realization that there is no constitutionally granted subject-matter jurisdiction that can be taken over a civil action to adjudicate and or enforce the claims that are alleged by the United States in any Complaint filed in a legal action that is filed in the federal courts to pursue the enforcement of the payment of a personal income tax against an individual American citizen as defendant. In the United States of America, under the Constitution of the United States of America, our federal courts are courts of only limited, specifically enumerated, constitutionally granted, powers, that only exist as written in the law. The courts cannot enforce ideas, or a philosophy, or custom or habit, or ritual, or beliefs, or even common sense. first: – the Constitution grants a specific power to be exercised by the Congress (as is done in Article I, Section 8); and second: the Constitution specifically grants the authority to the Congress to write law (as is done in Article I, Section 8, clause 18), with specific applicability to the enforcement of the power(s) granted, that was, or were, exercised in operational practice (enforcement) by the government (IRS). (3) a specific statute must be legislatively enacted by an authorized Congress, with specific application to the enforcement of the specific power alleged granted and exercised in (#1) above, and made enforceable with authorized law under (#2) above. These fundamental elements of constitutional law, controlling the ability of a federal court to lawfully take a granted subject-matter jurisdiction over a legal claim made by complainant (like the United States) in the federal district court, combined with the irrefutable lack of any enabling enforcement clause that exists in the 16th Amendment as adopted, make the United States’ claims in the courts that the 16th Amendment is the foundational authority for the enforcement of the income tax against the individual citizens, on the mere basis of being a “person” with alleged “gross income”, appear dubious at best, and a complete and total lie at worst, as this lack of granted constitutional authority to write law under the 16th Amendment also explains the alleged tax-protestors’ claims of the last 50 years, that – if the tax is under the 16th Amendment, then the tax must be voluntary, as no law is constitutionally authorized to be written by Congress, and therefore no law can exist, or does exist, under the 16th Amendment that effects the income of the citizens directly, without the underlying foundational use of the impost, duty and excise taxing authorities of Article I first being made applicable. – which does not constitute an unconstitutionally unapportioned direct tax. The Supreme Court plainly held in 1916, in the Brushaber v. Union Pacific RR Co., 240 US 1 (1916) and Stanton v. Baltic Mining Co., 240 U.S. 103 (1916) cases, that the income tax is an indirect tax under Article I, and is not a direct tax under the 16th Amendment. Stanton v. Baltic Mining Co., 240 U.S. 103, 112-13 (1916) “It is clear on the face of this text that it does not purport to confer power to levy income taxes in a generic sense – an authority already possessed [under Article I, Section 8] and never questioned – or to limit and distinguish between one kind of income taxes and another, but that the whole purpose of the Amendment was to relieve all income taxes when imposed from apportionment from a consideration of the source whence the income was derived.” Brushaber, supra, at 17-8 “The various propositions are so intermingled as to cause it to be difficult to classify them. We are of opinion, however, that the confusion is not inherent, but rather arises from the conclusion that the Sixteenth Amendment provides for a hitherto unknown power of taxation, that is, a power to levy an income tax which although direct should not be subject to the regulation of apportionment applicable to all other direct taxes. “The right to follow any of the common occupations of life is an inalienable right; it was formulated as such under the phrase “pursuit of happiness” in the Declaration of Independence, which commenced with the fundamental proposition that “all men are created equal, that they are endowed by their Creator with certain inalienable rights; that among these are life, liberty, and the pursuit of happiness.” This right is a large ingredient in the civil liberty of the citizen.” “Included in the right of personal liberty and the right of private property partaking of a nature of each- is the right to make contracts for the acquisition of property. Chief among such contracts is that of personal employment, by which labor and other services are exchanged for money or other forms of property. If this right be struck down or arbitrarily interfered with, there is a substantial impairment of liberty in the long established constitutional sense.” Justice Pitney in Coppage v. Kansas, 236 U.S. 1, 14, 59 L.Ed. 441, L.R.A. 1915C, 960, 35 S.Ct.Rep. 240 (1915) “But the fundamental rights to life, liberty, and the pursuit of happiness, considered as individual possessions, are secured by those maxims of constitutional law which are the monuments showing the victorious progress of the race in securing to men the blessings of civilization under the reign of just and equal laws, so that, in the famous language of the Massachusetts Bill of Rights, the government of the commonwealth ‘may be a government of laws and not of men.’ For, the very idea that one man may be compelled to hold his life, or the means of living, or any material right essential to the enjoyment of life, at the mere will of another, seems to be intolerable in any country where freedom prevails, as being the essence of slavery itself.” Yick Wo v. Hopkins, 118 U.S. 356, 370 (1886) But the lower federal district and circuit courts have reversed this clear indirect “income tax” holding that was made by the Supreme Court in 1916, by invoking as controlling, not these true, controlling Supreme Court cases cited above (Brushaber & Stanton), but instead they invoke one of their own contradictory inferior opinions from the below list of inferior circuit court decisions that openly simply declare, erroneously (and obviously so), that the federal personal income tax is authorized by the 16th Amendment as a direct unapportioned tax that is laid on all of the income of all persons. In re Becraft, 885 F.2d 547, 548 (9th Cir. 1989), (which simply cites to Lovell and Parker to make its assertions). And so, as a result of the federal courts improperly using for the last 40 years these inferior, isolated, self-circular court decisions (upholding the direct unapportioned taxation of income under the 16th Amendment), actually reversing the Supreme Court’s true holding (upholding only indirect uniform taxation of income under Article I, Section 8), the federal personal income tax has been enforced for 60 years in the lower federal Tax Court and district and circuit courts, erroneously, as a direct unapportioned tax, in blatant violation of the prohibition on such direct taxation that is still constitutionally prohibited by Article I, Section 2, clause 3 and Article I, Section 9, clause 4 of the U.S. Constitution. – the new tax law H.R. 1 (Dec. 2017), made effective as law as of January 1, 2018. 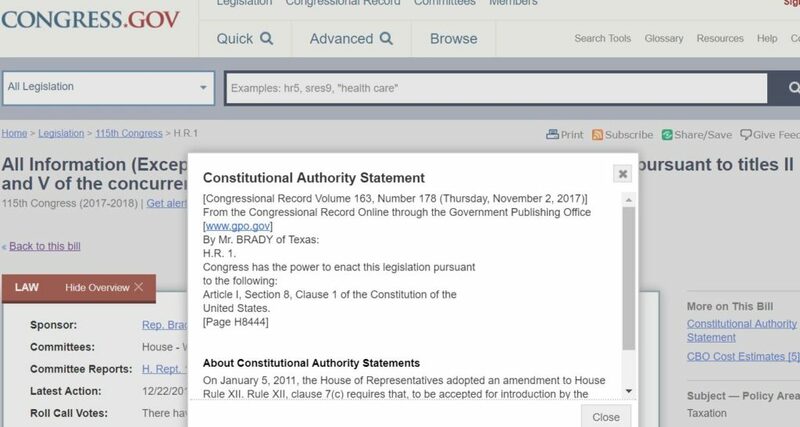 You see in 2011 the United States Congress passed another new law directly affecting the new tax law, requiring that all legislative Bills brought forward to the House floor for debate, contain within them a plain and clear statement identifying and declaring the alleged constitutional clause with the grant of authority that serves as the constitutional foundation to the congressional claim of a granted authority to write law with respect to the administration of the powers claimed therein, and proposed exercised under the new legislation. So, what did they put in the Constitutional Authority Statement for H.R. 1, the new income tax law now in effect ? Did they actually write “the 16th Amendment” was the authority, as argued for 50 years, or something else ? NO! It’s either there or it isn’t. First, it should be noted that the re-enactment of Title 26 U.S.C. (I.R.C.) Section 1, as done in H.R. 1, of course constitutes a re-enactment of exactly the same income taxing powers, and scheme of taxation (or lack thereof), as previously existed under the previous version of the income tax law, i.e. : the 1986 IRC code provisions of Title 26 U.S.C. (IRC) Section 1. Congress has simply adjusted the number of tax-brackets from seven to four, with different earnings thresholds and tax-rates associated with each of the four new tax-brackets, and with a new set of allowed or disallowed deductions and exemptions for everyone. But, it is basically and essentially, an undeniable reimplementation of exactly the same scheme of graduated, bracketed, gross-income taxation (under IRC § 61) of taxable income (IRC § 63), as that (scheme of taxation) which has existed since 1913. Supposedly, under this new law, nothing substantial or constitutionally foundational is believed to have been changed concerning or controlling the fundamental taxing power exercised, to tax income, and everything about the scheme is basically left unchanged, schematically identically the same as before (since the recodification of the tax law in 1986, which was also recodified (a new written version was created) in 1939 and 1954). As never before…It now plainly states that the Constitutional Authority for the enactment of the new income tax law enacted under H.R. 1, is not the 16th Amendment at all, but relies solely on “ARTICLE I, SECTION 8, CLAUSE 1 of the Constitution of the United States.” for its authority. If the 16th amendment was intended as the authority, it would have been listed. It is NOT! Uh-oh! You mean it isn’t the 16th Amendment after all? … and that claim of constitutional authority under the 16th Amendment as legal foundation to sustain the imposition and enforcement of the personal income tax, can never be made by the IRS, or in court by the United States attorneys, again, – ever !! In neither civil, nor criminal, tax prosecutions? Finally, the true and correct constitutional authority for the federal personal income tax is plainly and clearly specified in the law, on the Congressional House record, as being established under ONLY Article I, Section 8, clause 1 of the U.S. Constitution, which contains only the grant of the required constitutional authority to tax, indirectly, by impost, duty and excise, which powers, by law (Title 15 USC Sec. 17) do not lawfully reach the labors or income of the American People with force of law though the proper and lawful invocation and enforcement upon individual persons of only the granted indirect taxing powers. – completely strips the IRS, the DOJ, and the federal judiciary of all of their lawful ability to legally enforce on American citizens after January 1st, 2018, the federal personal income tax in the federal courts as it has been practiced since 1945. Its’ over. The IRS, the DOJ, the federal judiciary are all eviscerated. The monstrous income tax FRAUD perpetrated by the federal courts on the American People is fully exposed now, naked to the world, and the behavior and opinions of the federal judiciary are exposed as nothing but the treasonous sedition they have always been. i.e. : communistic and not constitutional. Repugnant, disgusting, corrupted, polluted, perverted, ultra vires judicial behavior and opinions, all committed for sixty years outside of the granted constitutional authority that exists for the court to lawfully act under, is all exposed. Naked to the world. – for there is no law because none is authorized, and there is no enforceable direct tax or taxing power conferred under the 16th Amendment as previously used and deceptively claimed, because no such power is constitutionally made enforceable against the individual ‘person’, as opposed to one of the “several states”. All American citizens, in all 50 states, are all now EXEMPT – as they always were, but is now clarified by constitutional as now clarified by congress), from any required payment or withholding of the federal personal income tax from their paycheck, earned at their place of employment in one of the fifty states, and everyone should therefore now claim EXEMPT on their W-4, as provided in law thereupon, under the supremacy-clause exemption from withholding, that is made at Title 26 USC (IRC) Section 3402(n), for informed employees to claim. – like the IRS, the DOJ, the federal judiciary, or even the “United States of America” (as a plaintiff in the courts), without there first being the clear applicability of some impost, duty, or excise tax to measure, that lawfully and properly taxes the underlying taxable (business, commodity, or trade based) activity from which the income is derived. – but the terms are specifically included in IRC Section 1441(b), wherever “wages” or “salary” are earned by the non-resident alien person that is identified in law under IRC Section 1441(a). And, since it is only the foreign person (Follow this LINK and CLICK on Person see the definition – and also look up definition of individual in the code – it’s likely not you), who is made subject under the provisions of IRC Sections 7701(a)(16), to the collection of the federal personal income tax imposed in the code sections of Subtitle A (Chapters 1-6) of Title 26, which is where the original 1913 income tax laws are found in today’s law. Subtitle A is the body of law that was enacted by Congress in 1913 as the federal personal income tax law, enacted under the original income tax legislation of the Underwood-Simmons Tariff Act of Oct. 3, 1913, then it has now become impossible (under the new H.R. 1 income tax law, ONLY under Article I, Section 8, authorities) for any party or person to lawfully withhold or collect any federal income tax from the payments made to an informed American citizen in one of the fifty states! Oh, by the way, a Tariff, as enacted within the Underwood-Simmons Tariff Act of Oct. 3, 1913, is one form of an impost, which taxing power, when exercised in the 50 states, is limited in constitutional operation to the taxation of only foreign persons and imported foreign goods, commodities, and other taxable “articles of commerce“. An impost, in the form of an enacted tariff, has no internal application to the domestic activity of American citizens conducted by Right within the fifty states, without any involvement with foreign goods or foreign persons. 1. Completely disemboweling and destroying the I.R.S.’ current personal income tax collection and enforcement practices and operations, by removing them entirely and completely from all legitimate constitutional authority to act to enforce the direct taxation of income under the 16th Amendment, as practiced for the last 60 years; Exposing 60 years of IRS THEFT & UNLAWFUL CONVERSION BY FRAUD. 3. Completely exposes the federal judiciary’s unlawful enforcement of the federal personal income tax under the 16th Amendment over the last 60 years of American history, as nothing but a complete and total judicially committed fraud that plainly and clearly can now be seen as the true judicial conspiracy of sedition that it is, to undermine and remove the constitutional limitations placed upon the federal taxing powers, in order to enforce the unconstitutionally directtaxation of the labors and work (“wages” and “salaries“) of the American People, in order to fund, not the legitimate operation of the government, but the constitutionally unauthorized progressive, liberal, Fabian, socialist programs effecting the re-distribution of wealth that are used to create the welfare-class and class warfare systems that are resulting in the destruction of America, Freedom, Liberty, private property, and equal rights, by expanding the judicial authority beyond that which is authorized, to enable the federal judiciary to constitutionally usurp the legislative authority of the Congress, through the judicial enforcement of only the perverted judicial Fabian opinions, in place of the actual written constitutional tax law that exists. This clearly exposes 60 years of JUDICIAL FRAUD, ERROR, and ARROGANCE. So, now you know where the income tax enforcement operations of the IRS, the DOJ, and federal judiciary really came from, for the last 60 years, because it isn’t Article I of the Constitution of the United States of America, or the 16th Amendment. Now our government servants, and especially the federal judiciary, stand condemned by their own ignorance and arrogance, and sedition. By its own congressional admission, now made in the written formal Congressional Record of the United States of America, they are nothing but as guilty as sin itself. And now, there is only one path left by which they may escape to find their way back to justice and righteousness, repent. COMMENT AND CALL TO ACTION – It’s time to move in on every case pending or case already judged in the past and open the prisons doors for those enslaved under this fraud, by bringing a Mandatory Judicial Notice of this argument into that case or appeal, to prove there was never constitutional jurisdiction for the IRS to bring cases in Tax Court or US District Court citing the 16th amendment, now or in the past. Then after winning these cases or in conjunction with your action to stop those cases, sue for constitutional violations using this new found information and congressional rules as the evidence.